Prayer times shown around the 24h dial; the white triangle is current time. Prayer names will appear on the screen for 2 minutes at appropriate times. Tap "sound" icon on right for vibration alarm at prayer times as well. Tap center for Arabic mode. 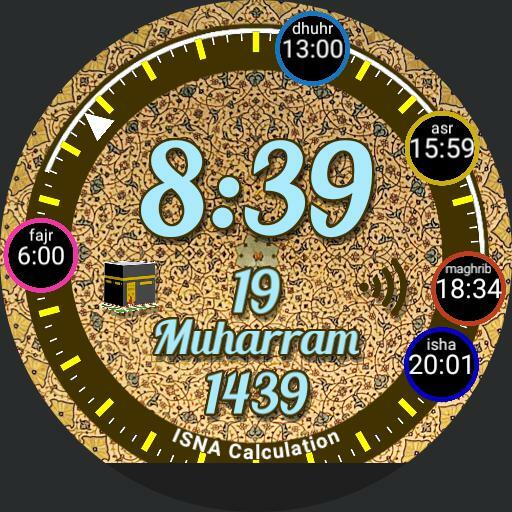 Tap Kaaba icon for Qibla pointer. Thanks to Omar Abdelrehim for help with this.